The South African Ornithological Society (SAOS) was formed in 1930 and had members all over South Africa. For many years there were no regional branches or bird clubs. 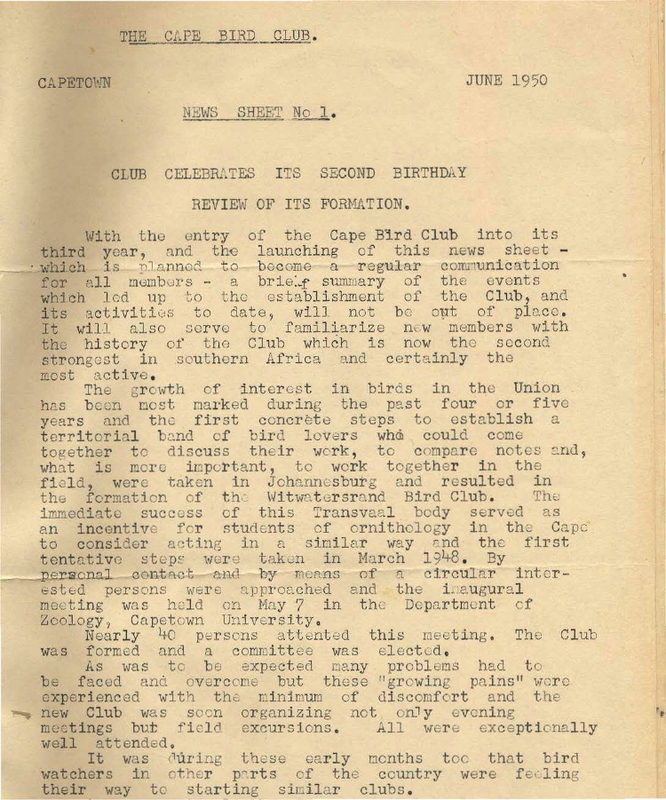 In the late 1940’s members on the Witwatersrand and around Cape Town got together and decided to form local clubs. 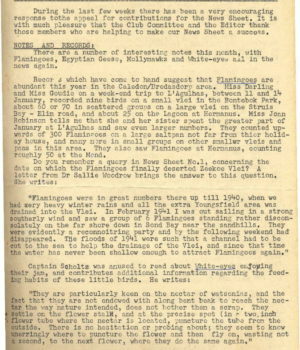 The first was the Witwatersrand Bird Club with the Cape Bird Club following a few months later in May 1948. 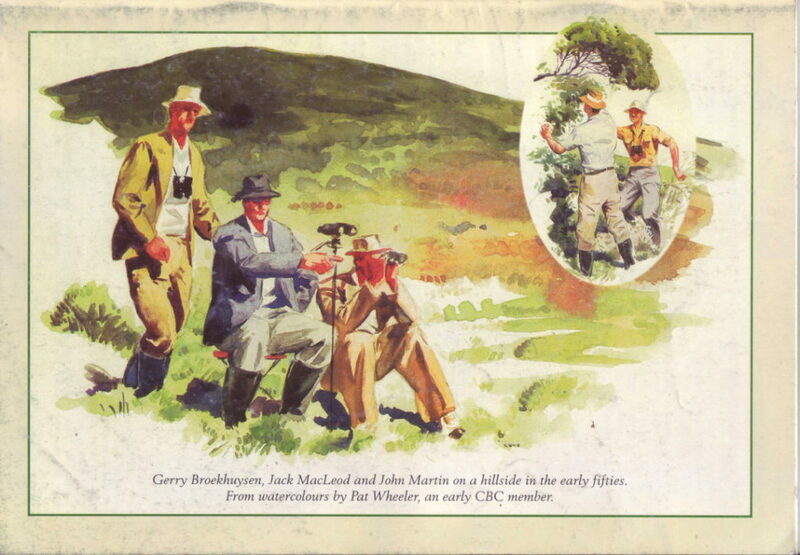 The Cape Bird Club became the first branch of the SAOS on 17th March 1950. 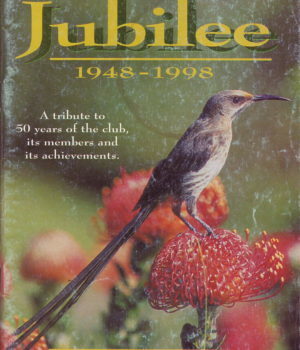 In 1996 SAOS changed its name to BirdLife South Africa (BLSA). It is the leading bird conservation non-profit organisation in South Africa. 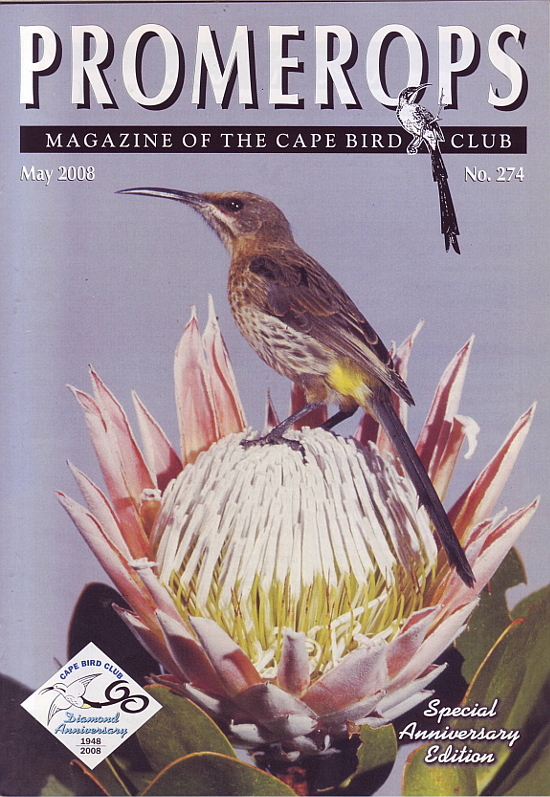 The Cape Bird Club has a membership in excess of 700 members of which most are also direct members of BLSA. 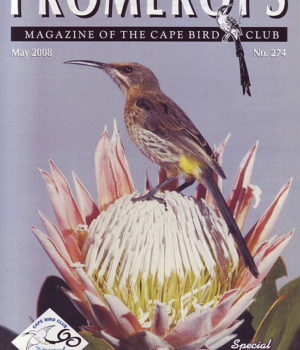 The Cape Bird Club is currently the largest affiliated club of BirdLife South Africa. BirdLife South Africa is affiliated to BirdLife International which is the largest international conservation non-profit organisation. All Western Cape bird clubs affiliated to BirdLife South Africa are represented on the Western Cape Birding Forum (WCBF) which provides a communication channel between clubs and BirdLife South Africa. It also provides for joint conservation initiatives by these clubs. 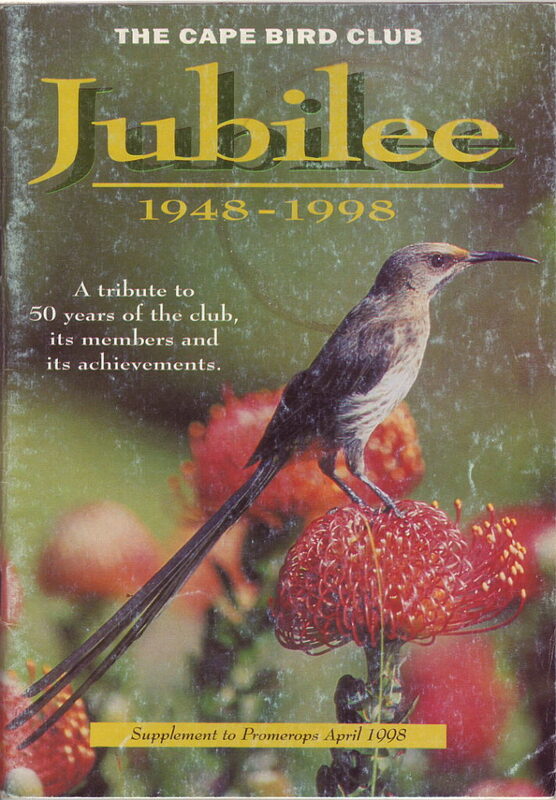 The Cape Bird Club has the longest and most active history of nature conservation of any bird club in South Africa. Read the documents below for more information. 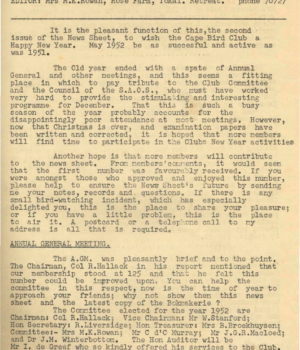 Follow the activities of Club members in the early News Sheets and News Letters started as a communication document by Club members in 1950. These documents evolved into the current Promerops magazine. 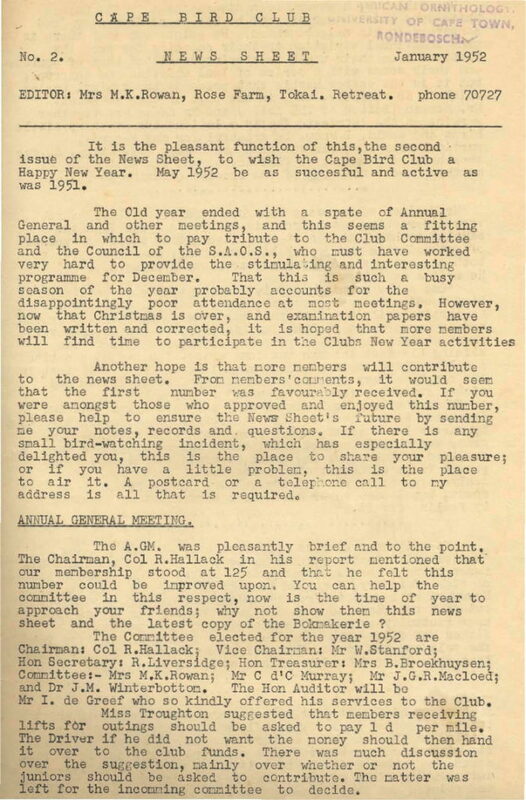 Read the celebration special edition magazine on the 50th Anniversary of the Club, written and compiled by Jo Hobbs in 1998. See the Club activities in the Diamond Anniversary year of 2008. 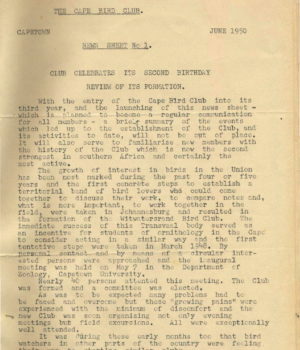 Historical documents and milestones of our Club. News Sheets and News Letters. 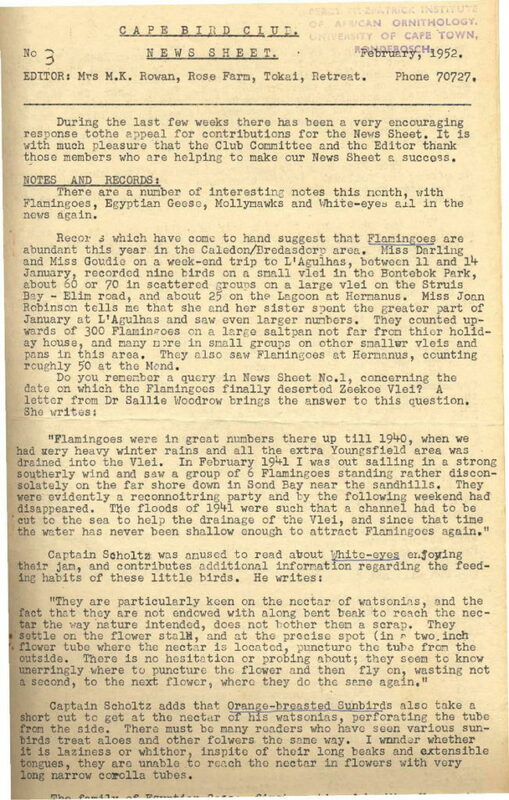 News Sheets and Newsletters started in 1950. 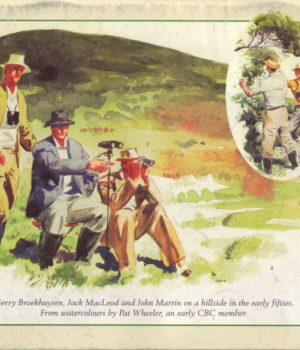 CBC Jubilee 1948 to 1998. This section was revised in June 2018.